Public Health is a broad field of study because it covers so many different aspects and careers. However, it mainly boils down to preventing disease, educating communities, and prolonging health for all. Professionals in the field of Public Health are intelligent, dedicated, compassionate, and hard-working – and consequently highly respected. These are our picks for the 15 Best Online Bachelor's in Public Health. Why pursue a Public Health profession? Majoring in Public Health means a focus on wellness, anatomy, physiology, emergency management, diseases, sexual health, preventable measures, and basic hygiene. It is important for a public health professional to be up to date on the newest data and statistics. While clinicians and physicians focus on treatment post-diagnosis, a public health professional focuses on preventable measures that can be taken in order to reduce exposure or contraction in the first place. Public health professionals are responsible for a lot of steps you currently take in your daily life, such as washing your hands to prevent the spread of bacteria or coughing into your arm to prevent spraying germs. The U.S. Bureau of Labor Statistics reports a strong upward growth in the field of public health. By the year 2026 employment of health educators and community health workers is projected to grow up to 16 percent. This is much faster than the average rate of growth for standard occupations. Potential careers in the field of public health include, but are not limited to: working in hospitals and medical facilities, managing care organizations or nonprofit organizations, employment at the state or local health departments, potential employment at the U.S. Centers for Disease Control and Prevention, and many more. Now is the best time to start a career in this exciting and rewarding profession. Here are the 15 Best Online Bachelor's in Public Health for 2019! Stealing the #1 spot on the list is the University of South Florida's Main Campus in beautiful Tampa. UoSF comes in the top spot not only because of its affordability, but also its commitment to the foundation of student learning. UoSF tries to have a wide reach by building a base of knowledge in public health that includes public health programs & policies, environmental health, epidemiology, global health, biostatistics, and more. USF offers both a major and minor in Public Health, providing diverse program options depending on your professional goals. The university also offers a program called Health Scholars in which students of public health may be chosen for leadership opportunities, study abroad scholarships, attendance at public health conferences, research opportunities, and recommendation letters. That's why USF is so exciting– it provides ample opportunities for its students to succeed. Due to the shortage of public health professionals in Ohio and the nation, Kent State University established its College of Public Health in order to train students to fill the gap. The first of only two colleges in Ohio to offer a Bachelor's degree in Public Science, KSU hopes to equip its graduates with the knowledge to be able to tackle modern health crises. The online program in Public Health offers a choice of four concentrations which include Allied Health, Clinical Trials Research, Health Promotion & Education, and Health Services Administration. The program includes knowledge of preventative measures to help stop the disease, prolong life, and promote health. The University of North Carolina at Greensboro provides students with a Bachelor of Science in Public Health. The difference between clinicians who treat post-illness and public health workers is that public health professionals identify the problems and try to implement on a larger scale in an effort of prevention. UNCG has designed its online program in Public Health for students who want to make big changes in their communities and for those who seek better health for all. While offering online courses at an affordable rate, UNCG makes sure there is a place for all in the department of public health. The University of Arizona is proud to offer students a convenient and exciting way to get closer to achieving their professional goals in the field of public health. The majority of students' general education and prerequisite coursework must be completed before declaring public health as a major. Because of this, students may have as few as 60 units of major-specific classwork to complete. As of today, the UA Zuckerman College of Public Health is the only accredited college of public health in the state of Arizona. American Public University seeks to use science, psychology, and sociology in order to better understand public health issues in both the United States as well as abroad. Students who are interested in public health will study public law, policy, administration, management, finances, and structure as it relates to the field of public health. Student will be able to perform macro and microeconomic analyses of healthcare production and costs as well as appraising the U.S. healthcare system. After meeting their General Education requirements, students move on to their major requirements. Students choose a concentration for a degree in Public Health with options ranging from General Concentration, Emergency and Disaster Management, Nutrition and Wellness, or the Public Health Informatics Concentration. California Baptist University seeks to provide a fundamental understanding of the field of public health to its students while incorporating a Christian perspective as it relates to health and wellness. Its goal is to supply students with the knowledge to advance as professional, effective, ethical, and innovative leaders in the industry. Students focus in on the problems facing our society and ways to solve them, such as emergency services, disaster preparedness, or NIH grant writing. The academic training at CBU is designed to prepare its students for the new, the old, and the evolving aspects of public health. CBU strives to keep their Christian faith in mind while moving students forward in the industry. As the most cost-effective university in this ranking, Brigham Young University is an important one to look out for. Brigham Young University in Idaho is affiliated with The Church of Jesus Christ of the Latter-day Saints that strives to provide a wholesome and faith-based education. BYU wants to prepare its students for leadership roles in their homes, workplace, and community, all while renewing their spiritual commitment to Christ. The public health course sequence at BYU seeks to prepare students to change the health and lives of people everywhere. Students can anticipate taking courses such as Hospital and Health Administration, Community Health Methods, or Emergency Management. Southern New Hampshire University boasts an excellent reputation for its convenient and affordable online programs. With a degree in Public Health from SNHU, you will build a strong foundation in biology, anatomy, physiology, statistics, and social sciences. Because all classwork can be done online 24/7, you have the freedom to open your schedule to exciting opportunities while you pursue your education. Students can look forward to enrolling in classes such as: Ethical and Legal Considerations of Healthcare, Social and Behavioral Health, Fundamentals of Public Health, and Statistics for Healthcare Professionals. Having access to a network of expert instructors who pride themselves on student support gives SNHU its strong academic backbone. Northern Arizona University is proud to offer a flexible online degree in public health. This program is a good choice for students who are currently working. NAU strives to provide an understanding of the basic principles of public health in areas such as injury prevention, disease, or mental health. NAU puts its students first. The world-class academic programs and personalized teaching methods provide intimacy and accuracy. With two different kinds of online degrees, Traditional Online and Competency-Based Online, NAU offers flexibility and support – whatever your needs may be. Monroe College knows that students entering the field of public health have a big mission to bring about positive change to the health of everyone they interact with. Monroe offers its public health program online in order to respect busy schedules and nurture the skills and knowledge that anyone entering the field of public health needs to know. There is a large emphasis on the collection and analysis of data and information that can then be implemented into programs for healthier lifestyle choices for the community. The interesting thing about Monroe college is that it offers associate's, bachelor's, and master's degrees in Public Health. So wherever you are and whatever educational goals you strive to achieve in the field of public health, Monroe College can help. The University of West Florida is consistently ranked among the best universities in the country. Because of this, students who declare a major in Health Sciences will be placed on a pending status automatically until they meet a few requirements, such as a cumulative GPA of 2.50 and the successful completion of prerequisite courses with a grade of "C" or better. The program is designed to provide a solid foundation in the field of public health. UWF focuses on history, philosophy, scope, law, regulations, and trends, all as they relate to public health. The University of the Cumberlands recognizes how the field of public health is broad, and it seeks to provide students with as wide a reach as possible in their knowledge base. UoC seeks to help students grow professionally and personally over the course of their studies in public health and helps students look forward to an array of exciting career opportunities. UoC is also a private, faith-based institution. UoC offers a solid General Education foundation upon which the pursuit of knowledge in public health begins. From there, students begin their Bachelor Core Requirements, such as Functional Human Anatomy and Physiology, Nutrition, Substance Abuse, or Introduction to the Study of Disease. UoC offers a fantastic range of interesting course materials. Rivier University has a goal of helping you start and finish your degree faster. This is done by developing skills in many fields related to public health such as public health services, environmental services, epidemiology, and social and public policy. Rivier is proud to offer its students a program in public health that is fully online. Rivier offers multiple term start dates, which means that you can join whenever you're ready. Students are offered flexible schedules and competitive tuition rates to ensure satisfaction. After finishing the 42 credits worth of General Education Requirements, students then begin taking classes like Food Safety and Hygiene, Research Methods, Epidemiology in Public Health, and Public Health Emergency Preparedness. Excelsior College is proud to provide higher education to those who have been historically underrepresented by meeting students where they are academically and geographically. Excelsior has been a leader in health care education nationally since the 1970's. However, because public health workers are in such great demand, Excelsior has recently added an online program in the field. With rotating eight-week semesters and 24/7 access to your learning environment, you can find time to complete your public health program when it is convenient for you. 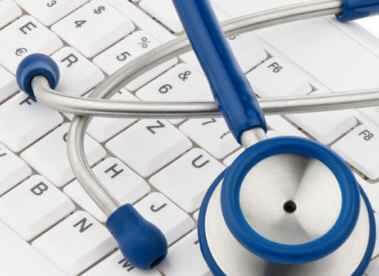 A Bachelor's of Science in Health Sciences from Exelsior consists of half Arts and Sciences and half Health Sciences. Each component is important in providing the big picture of this ever-growing industry. Students will partake in classes such as: Health Care Issues in Culturally Diverse Populations, Research for Evidence-Based Practice, and Writing and Communication in the Health Science Professions. Veteran founded and military friendly are two traits that National University is proud to live by. NU is a pioneer in digital education for youth and adults. A degree in public health at NU can be completed online or on campus, depending on student preference. Unique to NU are its four-week classes which are designed to help students focus on a single subject at one time and help to speed along graduation. This entry-level program is designed to mold students into public health professionals who can go on to work in a number of different health agencies. The faculty are nationally recognized in a spectrum of different health profession disciplines, and they work hard to help students apply the hands-on knowledge they acquire in class to their future careers.